Collection of 'Creative Pasta Gadgets and Tools' from all over the world. 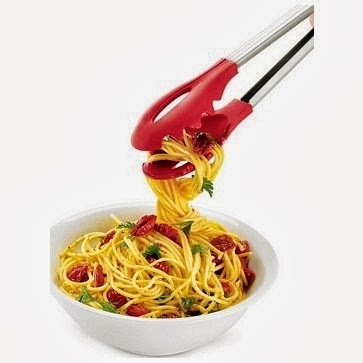 Twirling Spaghetti Fork: Just press the button on your motorized fork and place it into a bowl of pasta, and watch the fork do all the hard work. 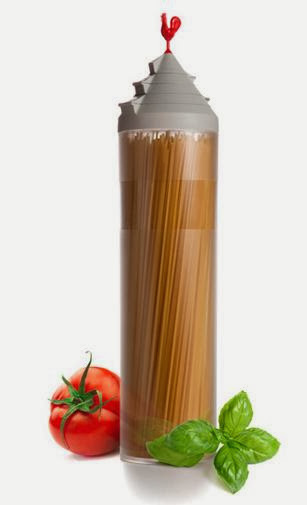 Spaghetti Tower: This clever spaghetti tower not only stores your pasta, it also measures the ideal quantity for your meal. 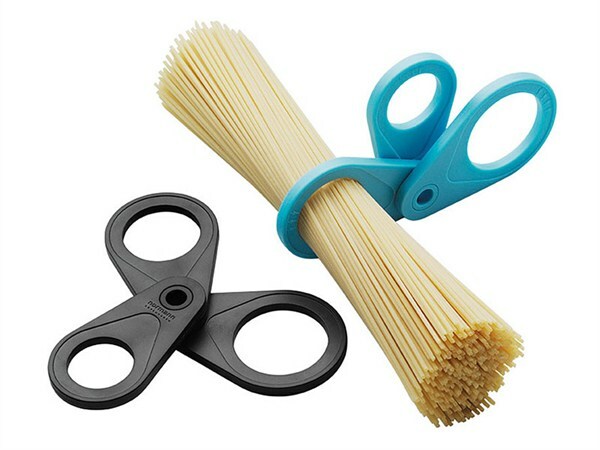 Pasta Rake: This tool is perfect for pulling long pasta strands from boiling water. Calamente Fork: It features a thumb at its base and its design is based on the human hands. The purpose of this fork is simple - better spaghetti twirling. 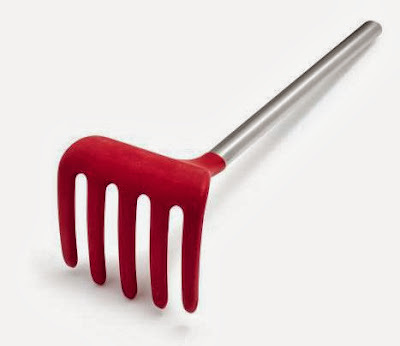 Twisting Fork: This cool fork features wavy tines that keeps the pasta in place so you can focus on the taste. 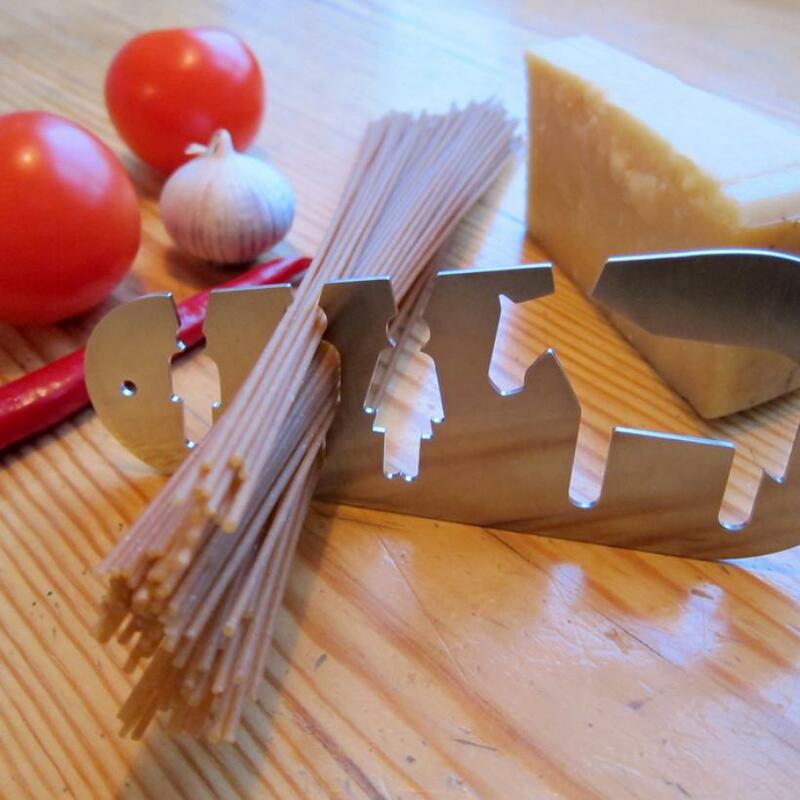 Spaghetti Measure: Cool kitchen tool for measuring out pasta for 1 to 4 servings. 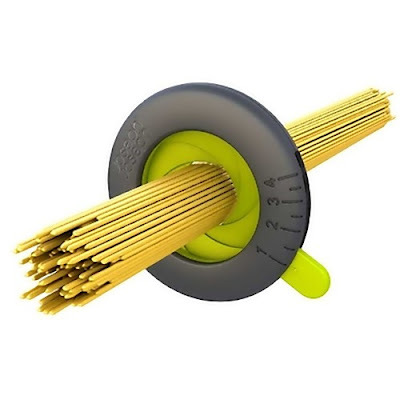 Pasta Basket: With Jokari pasta basket you won't cook more pasta than you require; it measures and cooks one serving of pasta. 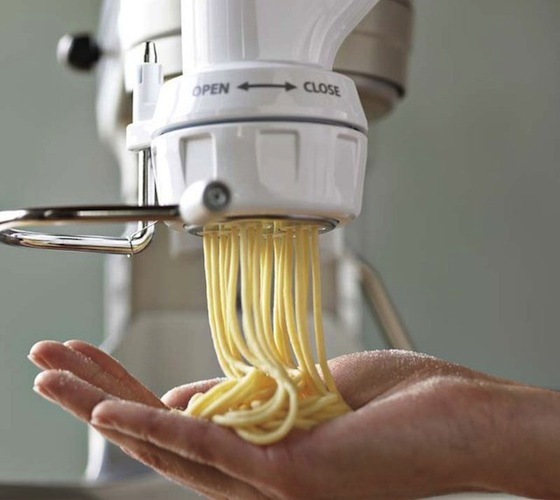 Kitchenaid Pasta Press Attachment: Place the required plate and attach the press onto the power hub of any Kitchenaid stand mixer to make fresh, homemade large or small macaroni, fusili, rigatoni, bucatini or spaghetti. 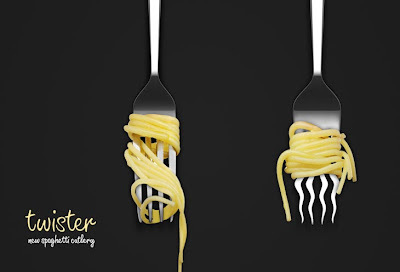 Spaghetti Plate: One can twirl the spaghetti using a fork only. Spaghetti Measuring Device: A cool spaghetti measuring tool that looks like brass knuckles; it has measuring holes for kids, grownups and dinner portions. 'I could eat a horse' - Spaghetti Measuring Tool: Made by Stefán Pétur Sólveigarson, Iceland; it's a spaghetti measuring tool with three different portions for small, grownup and family. 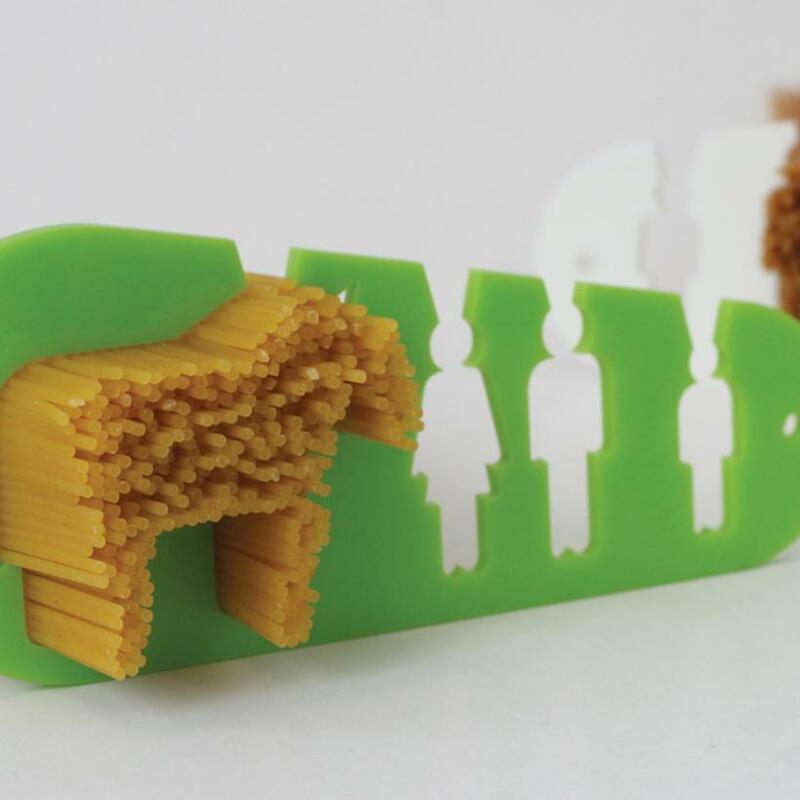 Spaghetti Dozer by Serge Atallah: It's a foldable spaghetti measuring tool with 2, 3, 4, 5, 6 or more portions - the combinations are endless. 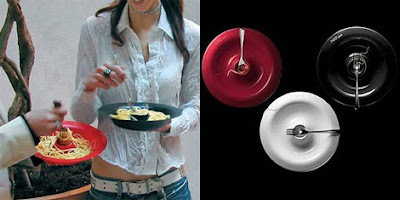 And its functional design makes it convenient to store in any drawer. 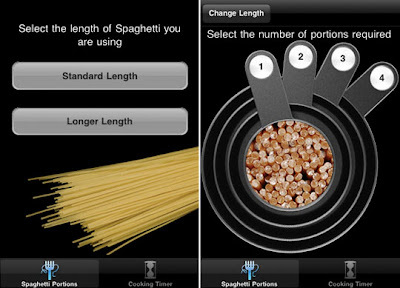 iPhone App - Pastatime: Unlike physical pasta measuring tools with holes, it's a digital version. It's an easy-to-use spaghetti measuring app for one to four portions. 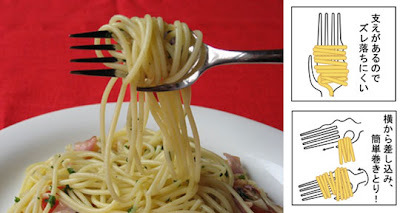 You might place the noodles directly on the screen if you have an iPhone cover. 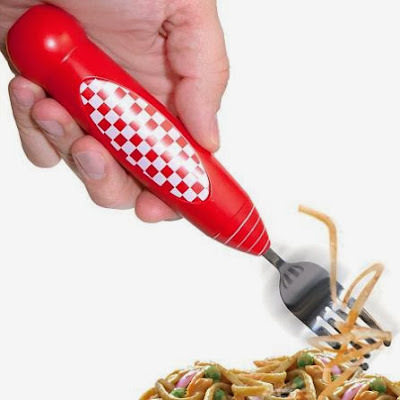 15 Cool Gadgets and Products for Picnics and Camping - Part 3. 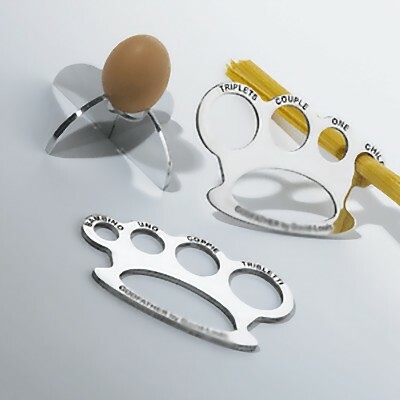 15 Cool Cutting Boards and Creative Cutting Board Designs - Part 3.